Tin’s interesting characteristics mean that there are many uses for tin. Learn about them here. Tin is a silvery-white metal that’s obtained mainly from the mineral cassiterite. China is the top producer of tin by a long shot, though the metal is also produced in large quantities by Indonesia and Peru. Because of its many positive characteristics, there are a lot of uses for tin. For example, the metal is malleable, ductile and not easily oxidized in air; it’s also lightweight, durable and fairly resistant to corrosion. Those qualities make tin a good candidate for use in solder, as well as tinplate, chemicals, brass and bronze and other niche areas. 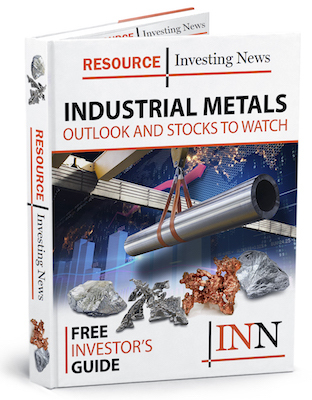 Understanding the many uses for tin is essential for investors interested in the metal. After all, in order to get a grasp of supply and demand dynamics, it’s important to know what exactly tin is used for, and how much tin those applications require. With that in mind, here’s a brief overview of the various uses for tin. Tin consumption 2011. Image courtesy of ITRI and CRU Group. As the adjacent chart from ITRI and CRU Group shows, tin is mainly used in the production of solder. In 2011, solder accounted for over half of tin consumption, at an impressive 52 percent. This is a long running trend, as over 50 percent of tin output has gone toward solder since 2005. Solder is a fusible metal alloy that’s used to join metal workpieces. It can be made in various ways, but often is a lead-tin alloy. In these alloys, tin concentrations range from 5 to 70 percent by weight, with tensile and shear strengths increasing at higher levels of concentration. Tin plating is the process of coating metals such as iron and steel with tin to create a lightweight, corrosion-resistant finish. The end product, called tinplate, is “highly suitable for roofing (and walling) material.” Terneplate is similar to tinplate, but refers to iron or steel that that’s been coated with tin as well as lead for added durability. Tin’s resistance to corrosion is what makes it important for tin plating, and the process has a long history — it was first employed in the early 1800s, when tin-plated cans were created for preserving food. More recently, tinplate accounted for 17 percent of tin consumption in 2011. That’s a sizable chunk, but well behind the amount used in solder. In 2011, 15 percent of tin went towards chemical compounds of tin, with organotin compounds, the most widely used worldwide, taking the largest share. But what exactly are organotin compounds? Explained most simply, they are chemical compounds based on tin with hydrocarbon substituents. Typically they are used as stabilizers in polyvinyl chloride, suppressing degradation by removing allylic chloride groups and absorbing hydrogen chloride. As mentioned, tin can be alloyed with lead to make solder. However, lead isn’t the only metal that tin can be alloyed with; in fact, it’s most commonly alloyed with copper. One oft-discussed alloy of tin and copper is bronze, which is mostly copper and contains only 12 percent tin. Others include pewter, which is 85 to 99 percent tin, as well as bearing metal, which also has high tin content. Brass is a bit of a different story. It’s an alloy made of copper and zinc, with the proportions of those metals varying depending on the properties required by the manufacturer. Tin is also present in small amounts in some types of brass.